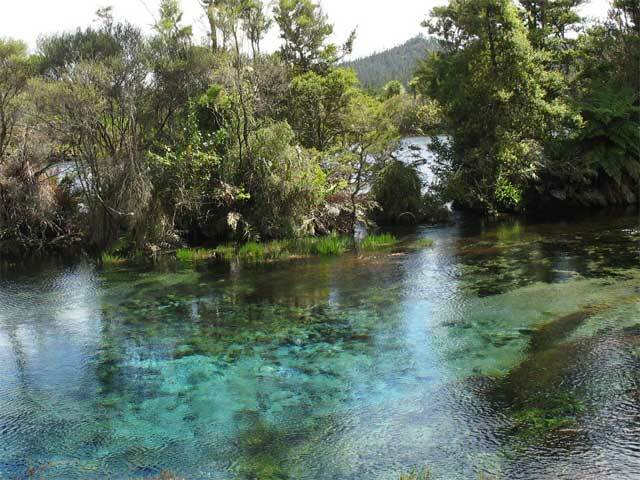 The freshwater springs are the largest cold water springs in the Southern Hemisphere2 and second only to the Antarctica’s Weddell Sea in clarity. Every second between 10,000 and 14,0003 litres of water are released from the springs, whose depth has never been accurately determined. 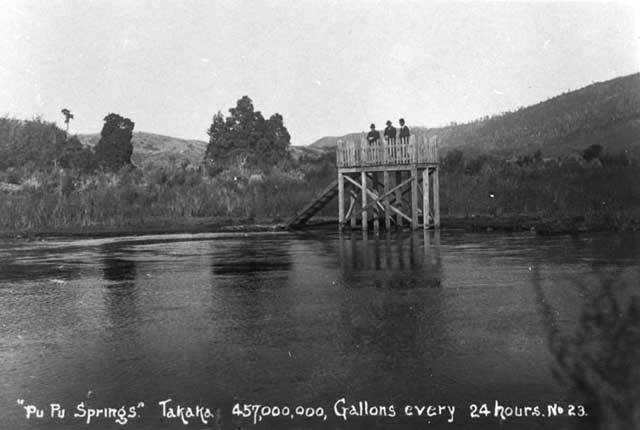 There is little left to show of those who searched for gold at Waikoropupu, but visitors to the springs can still see the tail races, dug to move water for sluicing, and the remains of the rock walls. Department of Conservation (2008) Waikoropupu Draft Management Plan ,p.42. Turley, Cliff (2005). 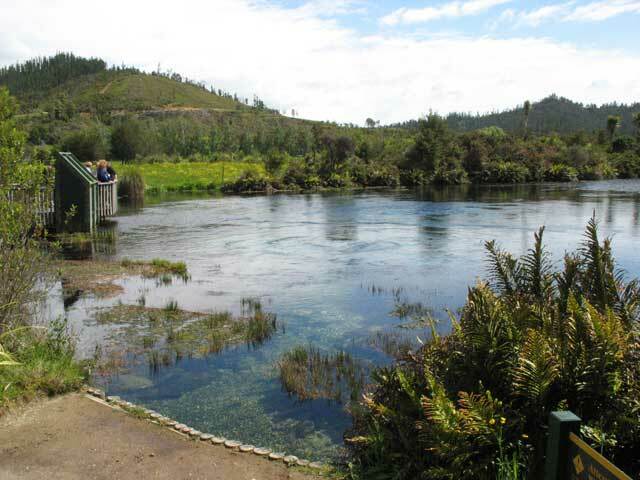 From Bubu to Pupu, the Unique Story of the Waikoropupu Springs and Valley. Takaka, New Zealand: Golden Bay Museum, pp.4-5. Want to find out more about the The Golden Waikoropupu ? View Further Sources here. Michaelis, Frances B. (1974). The ecology of the Waikoropupu springs: a thesis presented for the degree of P.H.D. in zoology. Christchurch, New Zealand: University of Canterbury. Newport, J. N. W. (1975). Golden Bay, one hundred years of local government. Takaka, N. Z.: Golden Bay County Council, p.55-56. Turley, C. (2005). 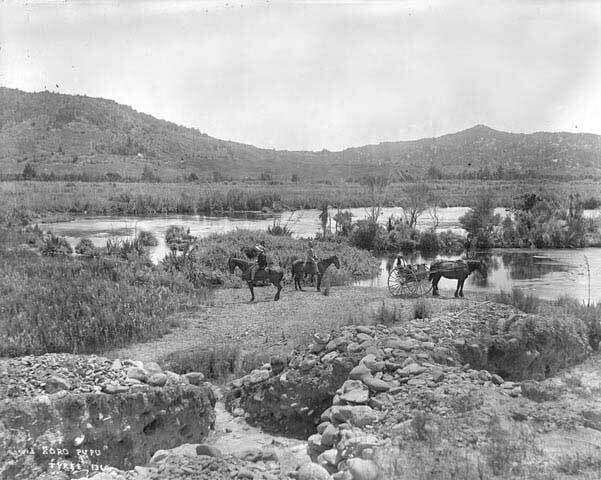 From Bubu to Pupu, the unique story of Waikoropupu Springs and valley. Takaka, N. Z: Golden Bay Museum. Barrett, P. (2001, November ). 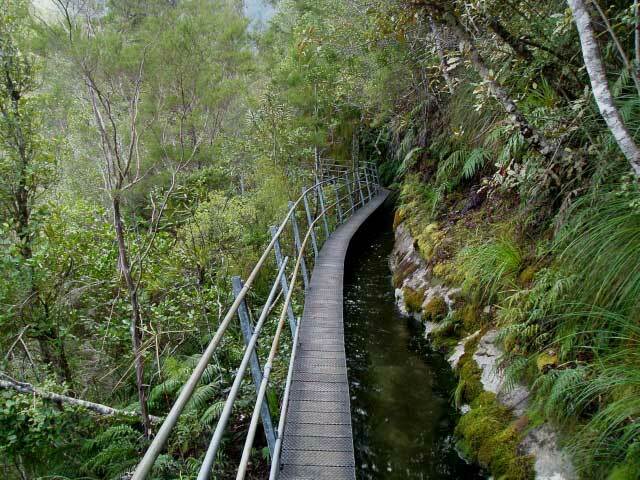 Pupu walkway, Golden Bay. New Zealand Wilderness, p.53. Christian, P. (2000, 27 April). Small hydro utility fears shutdown. The Press, p.4. Controversial plans gain consent. (2008, 3 November). The Nelson Mail, p.1. Hindmarsh, G. (1999, 15 May ). Clearwater revival. New Zealand Listener, Vol.168, Issue 3079, p.32. Hindmarsh, G. (2006, 25 March ). Spring fever. The Nelson Mail, p.17. Murdoch, H. (2007, 11 January). ‘Didymo cells flow along Takaka. The Press, p. A4. Pupu Hydro Scheme Historic Area (2003, 1 August ). Heritage New Zealand, Issue 90, p.53. Pupu hydro restorer mourned in Takaka. (2003, 1 November ) The Nelson Mail, p.14. Pupu Springs ban could be extended’ (2008, 18 July ). The Nelson Mail, p.3. Sparrow, B. (2003, 18 September ). Cuts would reduce output. The Nelson Mail, p.12. Sparrow, B. (2003, 8 October). Hydro scheme granted consents. The Nelson Mail, p.5.